New Chronicles Of Narnia projects for film and television are in the works at Netflix, it has been announced. The streaming service has signed a multi-year deal with The C.S. Lewis Company to develop the classic stories from across the fictional Narnia universe. 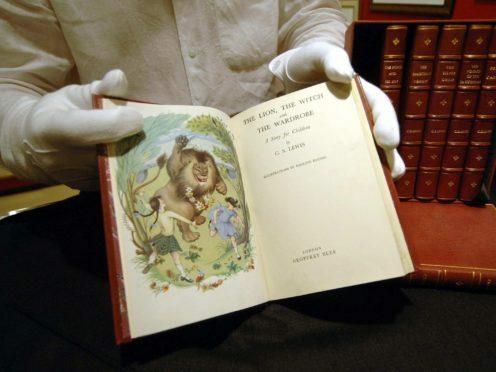 The deal marks the first time that rights to all seven books penned by Lewis, including The Lion, The Witch And The Wardrobe, have been held by the same company. Douglas Gresham, the author’s stepson, said in a statement: “It is wonderful to know that folks from all over are looking forward to seeing more of Narnia, and that the advances in production and distribution technology have made it possible for us to make Narnian adventures come to life all over the world. The Narnia books have sold more than 100 million copies and been translated in more than 47 languages worldwide. Ted Sarandos, chief content officer at Netflix, said: “C.S. Lewis’ beloved Chronicles Of Narnia stories have resonated with generations of readers around the world. Disney has previously released movie adaptations of three of the Narnia books, The Lion, The Witch And The Wardrobe, Prince Caspian and The Voyage Of The Dawn Treader between 2005 and 2010. The BBC also adapted The Lion, The Witch And The Wardrobe for series in 1988.